Irish tattoos come in various designs and styles stemming from simple traditional ones to modern, colorful tattoos. Although these tattoos have Irish origins, they have spread across the world and can be found in various cultures in remote places of the globe. The Irish Culture is very spiritual and colorful, and perhaps this explains why they have a tattoo named after them. 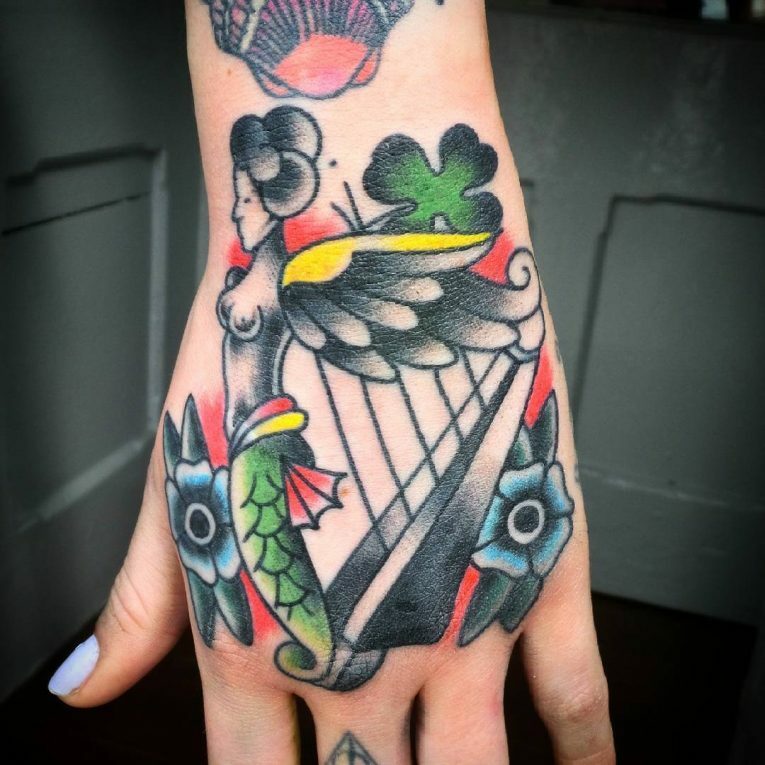 Although the modern Irish tattoo looks slightly different from the ancient tribal markings, most tattoo artists are of the opinion that the modern tattoos evolved from the tribal markings. The Irish people have a rich history, and they have also undergone a series of challenges over the years of their existence as a nation. Their challenges and achievement as a people is what led to the development of these tattoos as a symbol of national identity and to show pride in their culture. The origin of these tattoos can also be attributed to influence from other cultures with the strongest influence coming from the Celtic culture. Besides from the national pride and identity associated with these tattoos there are several other meanings given to particular tattoos. For instance, the Claddagh which also happens to be the most popular of this type of tattoos is used as a symbol of love and friendship. If you have a friend that is far from you or a close relative that you want always to keep in mind, then you can get the Claddagh Tattoo. Some tattoos can also be used as a symbol of pride and freedom. A good example of such a symbol is the Irish Flag tattoo. When it comes to showing pride in being Irish nothing is better than the flag. The flag of any state is a symbol of freedom and independence and to demonstrate that you are enjoying these liberties a tattoo will work well for you. Besides from freedom and independence of the state some of this tattoo can also be used to portray personal freedoms. One can also use the Irish Tattoo to show the fearless and brave spirit inside them. People with an Irish lineage are considered to be brave and courageous. 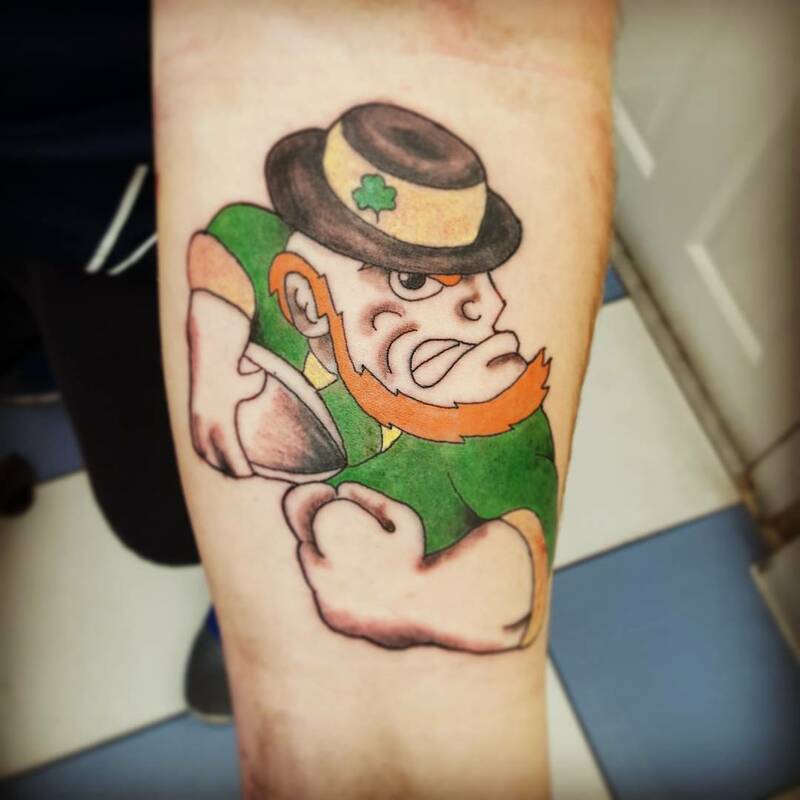 Whether it is out of historical facts of legendary stories, the Irish have earned the reputation of being brave and so some of their tattoo can be used to mean this. An example of such a tattoo is the Fighter Irish tattoo. This is one of the most common types of the Irish symbols and is a favorite with youths of Irish lineage. Some tattoos can also be used to mean religious devotion with a good example being the Irish cross. People of Ireland are naturally very religious, and the church forms an important part of their heritage and culture. To show that you are proud to be associated with the church and you respect the religious teachings then the Irish cross tattoo would be a good tattoo option. The lower back is a good placement area for Irish tattoos but one has to be careful with the type of tattoo since not all of them will look beautiful when placed here.However, it is important to note that big tattoos are more suitable for the lower back area. The ankle is also a placement idea for a small tattoo like a clover. Although a clover can look fantastic even when inked anywhere else on the body it gives an ankle a beautiful and unique look. When getting a new tattoo, the placement location is as important as the design, and so you should choose carefully. The wrist being one of the most visible parts of the human body is a great place for your Irish symbol. Besides from being used to portray different meanings the wrist tattoo can also act as a permanent bracelet. This tattoo will look great when placed in the upper arm especially for men due to the muscles on the male upper arm. 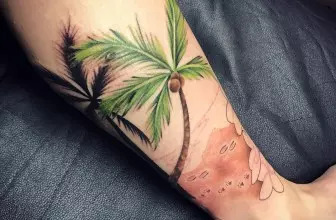 A tattoo that covers a significant part of the upper arm will look better than a small tattoo and so you have to get the size right. This is the most famous Irish symbol and it is drawn in very different ways. The tattoo is mainly made up of two hands holding a heart with a royal crown. 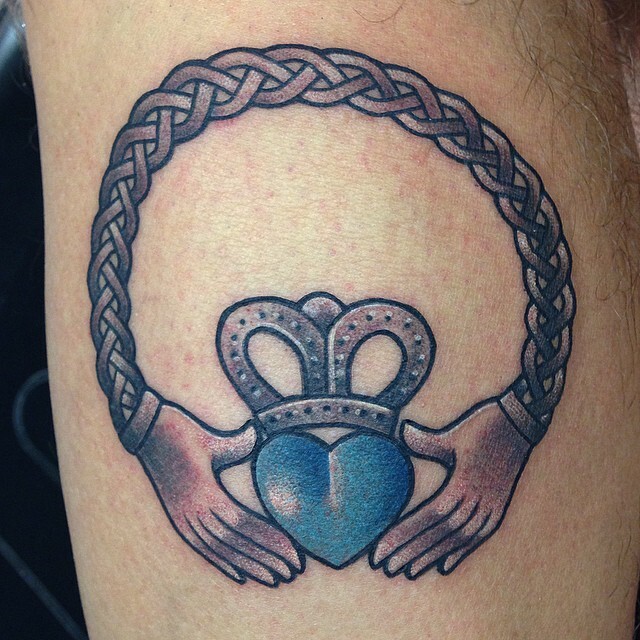 It is the most sought-after tattoo design, and so artists have come up with many variations of the Claddagh. This tattoo is made up of a shield with the words “Stand and Fight” and it is meant to bring out courage and the fighter spirit of the wearer. The shields can be drawn with the Irish flag colors or in black and white, but regardless of the color it will still bring out the intended message. The Celtic swan tattoo is a good indication of the significant influence that the Celtic culture has had on the Irish people. This tattoo is a beautiful knotwork that portrays the graceful body of a swan, and it is mostly inked on the lower back. This tattoo brings together the clover leaf and a worn out banner with the words “Luck of The Irish” and is used as a symbol of luck. Unlike other types of tattoo, the meaning of this one is very particular. This tattoo is made up of two snakes intertwined in an Irish knot. What is amazing with this symbol is the fact that unless you look at it very keenly it is very difficult to figure out what it’s all about. However, it is a very classical and modern Irish symbol. The shamrock tattoo is a symbol of good luck that is drawn together with the initials of the person or someone close to them. It is usually used to represent pride and loyalty to the Irish culture.